Tom Rob Smith graduated from CambridgeUniversity in 2001 and lives in London. His novels in the Child 44 trilogywere "New York Times "bestsellers and international publishing sensations. Among its many honors, "Child 44" won the ITW 2009 Thriller Award for Best First Novel, The Strand Magazine 2008 Critics Award for Best First Novel, the CWA Ian Fleming Steel Dagger Award, and was longlisted for the Man Booker Prize. "Smith's pacing is relentless; readers wanting to put the book down for a brief rest may find themselves persevering regardless. Expect the same kind of critical acclaim for this compelling tale that greeted the publication of Martin Cruz Smith's Gorky Park (1981) more than 25 years ago...a very, very good read. Don't miss it." "A debut novel from a shockingly talented 28-year-old Brit...Nerve-wracking pace and atmosphere...Smashing." "Stellar debut...completely original and absolutely satisfying." 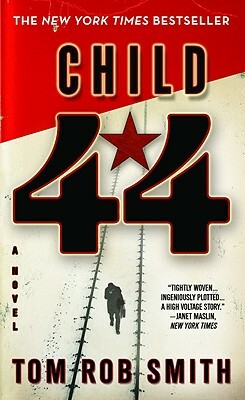 "CHILD 44 is a remarkable debut novel-inventive, edgy, and relentlessly gripping from the first page to the last." "Achingly suspenseful, full of feeling and of the twists and turns that one expects from le Carré at his best, CHILD 44 is a tale as fierce as any Russian wolf. It grabs you by the throat and never lets you go." "An amazing debut--rich, different, fully-formed, mature...and thrilling."